Add a little luxe to your weekend wardrobe with this bodycon dress. 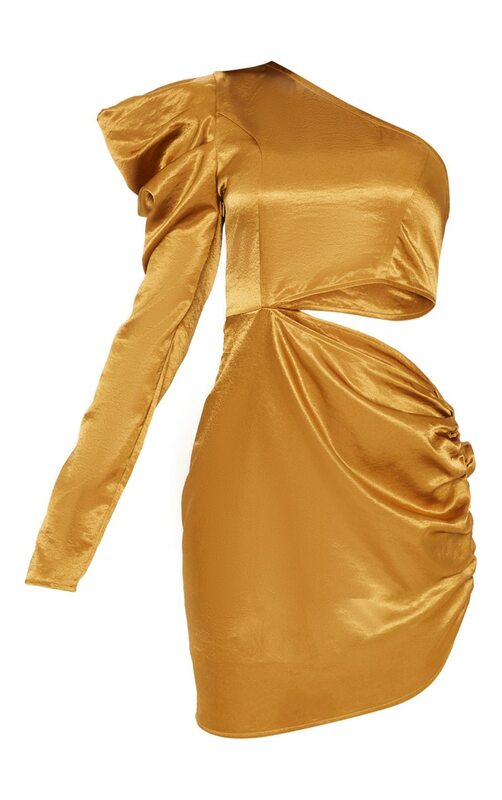 Featuring a golden mustard material with a one shoulder design and cut-out detailing. Team this with strappy heels and some statement earrings to have all eyes on you.